Reformation Day Is A Time For Christians To Celebrate! discussion with other teachers in the Catholic Church. Instead, Luther was used by God to begin a reformation of the church by returning to the foundation of Scripture alone. Scripture alone taught that salvation was not earned or sold by indulgences and grace was God’s alone to give. Martin Luther is widely considered the father of the Protestant Reformation. As a monk, Luther struggled to find peace with God. He dedicated himself to fasting, flagellation, long hours in prayer, pilgrimage and constant confession. In all these rituals, he still did not find peace with God. Later, he was ordered to pursue an academic career and in doing so studied Scripture in-depth. In his studies as a Monk and university professor, Luther began to develop a sense that the Roman Church had abandoned several essential doctrines of the Christian faith; among these was what he considered to be the chief article of Christian Doctrine: Justification by Faith Alone (Sola Fide). This doctrine states that justification is entirely a work of God (monergism) and is received by men through faith in Jesus Christ. This runs contrary to the understanding taught by the Roman Church that justification is an act of coöperation between God and man (synergism). The teachings of the Reformation are established upon Scripture alone. These doctrines are Scripture alone, faith alone, grace alone, Christ alone, and all the glory to God alone. Salvation is only found by going to Christ, not by going through the motions of external obedience. The righteousness of Christ is received by faith alone. 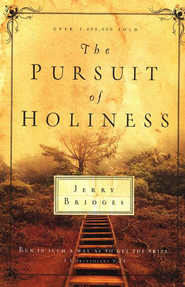 Christ’s righteousness, not ours, allows us to stand before a Holy and Just God. Christ alone is our sanctification and it is He who has paid the ransom price to purchase us from the consequences of sin and make us children of God. One sola of the Reformation, “sola scripture”, includes emphasis on the implementation of the entire Bible in our living out our lives. We can celebrate on Reformation Day the same truth that Luther rediscovered then: that salvation is by faith alone through grace alone. Huldrych Zwingli was a contemporary of Martin Luther and the leader of the Swiss Reformation. Although much less recognized, Zwingli was developing many of the same conclusions concurrently with Luther. Zwingli was killed in a battle against the Roman Cantons at Kappel am Albis in October of 1851. 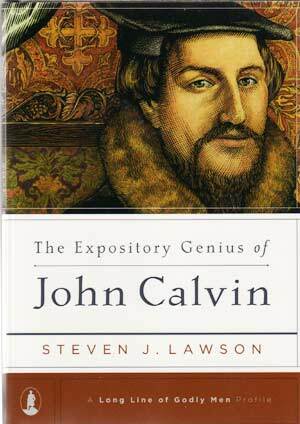 John Calvin is the much celebrated father of Calvinism and much of what we now call Reformed Christian theology. While, today, Calvin is often singled out for his teachings on election and predestination, most of the earlier reformers held to this view as well. The overarching theme of Calvin’s teaching was an emphasis on the sovereignty of God, or that God is absolutely sovereign in all things. His book, Institutes of the Christian Religion, and his commentaries on the books of the Bible are still used today (especially by me!). of England. 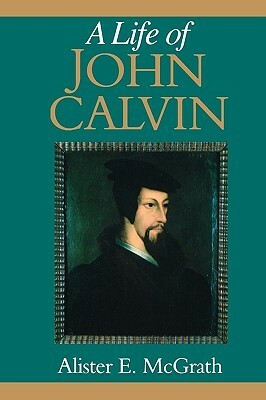 During one of his frequent exiles he settled in Geneva where he was instructed in the particulars of Calvin’s Reformed theology and Presbyterian church government. Upon returning to Scotland, he was influential in the Scottish Reformation and in creating the Kirk (now Church of Scotland), instituted after Scotland’s break with Rome in 1560. While the Reformation continues to have profound and lasting impacts on the political, economic, social, literary, and artistic aspects of modern society, it is at its heart a religious movement. The Reformation was the great rediscovery of the good news of salvation by grace through faith in Jesus Christ. The truth of the gospel — is that God offers forgiveness and salvation not because of what we do, but because of what Christ has already done for us. The Holy Spirit used Martin Luther to restore the gospel to its rightful place as the cornerstone doctrine of Christianity. Martin Luther and the other reformers came to understand that if we sinners had to earn salvation by our own merits and good works, we would be lost and without hope. However, through the working of the Holy Spirit, the reformers rediscovered the truth of Scripture. Filed under: Bible, Christianity, Church, Church Leadership, Faith, Grace, History, Holiness, Holy Spirit, Living Life, Philosophy, Prayer, Preaching, Theology | Tagged: Catholic Church, Christianity, Holy Spirit, Huldrych Zwingli, John Calvin, Martin Luther, Protestant Reformation, Reformation Day |	Comments Off on Reformation Day Is A Time For Christians To Celebrate! 2. The destruction of conceived human life – whether embryonic, fetal, or viable – is an assault on the unique person-forming work of God. In 1801, Barton Warren Stone, pastor of Cane Ridge Presbyterian Church, began circulating the word that the Cane Ridge sacramental communion was to be “one of the greatest meetings of its kind ever known.” As the news spread, congregations and pastors packed up for journeys from not only Central Kentucky but also southern Ohio and northern Tennessee. The Cane Ridge Presbyterian Church sat on the slopes of a large hill covered with bamboo (hence the name) and some trees. It was a rustic meeting-house which could hold as many as 500 people (standing). Recently, the congregation had also erected a large tent to accommodate more people. Scottish and Ulster Presbyterians had held these types of regional communion services back in their old countries for centuries. In times of persecution, they had thrived in rural settings. Sacramental communion services in the months preceding the early August gathering at Cane Ridge had attracted thousands of people. When August 6 arrived, no one had anticipated what was coming. The atmosphere was electric. As travelers began to arrive, there was a downpour of rain. Cane Ridge families opened their homes to the travelers. The visitors, however, grew from hundreds into thousands. Many had to find lodging miles away, but many had come ready to camp. The rain continued into the evening which may have held back some of the crowds. Yet, the meetinghouse was packed. A sermon was delivered by Matthew Houston and afterwards some lingered all night in prayer. On Saturday morning, the services were quiet. By afternoon, however, the preaching from both the meetinghouse and the tent was continuous. Emotions increased and the camp was erupting in noise. There was shouting and crying, and then some began falling. Others experienced weakened knees or a light head. According to testimonies, those who fell did so out of agony and fear. They were so scared that they couldn’t move. Some lay on the ground for two or three days praying until they received assurance of salvation. There were preachers from several denominations who arrived and set up pulpits in tree stands. Often, as many as seven preachers were addressing different crowds throughout the woods. According to Iain Murray there were eighteen Presbyterian ministers. There were also many Baptist and Methodist preachers who took part in the services which continued for a week. The tents that had been set up were estimated to shelter between 10,000 and 21,000 people. Some people supposed there were nearly twenty-five thousand men, women, and children collected together around Cane Ridge. The roar of noise was described like that of Niagara. Some of the people were singing, others praying, some crying for mercy, while others were shouting. One witness looking over these scenes said he felt a peculiarly strange sensation, such as he had never felt before. His heart was beating wildly, his knees trembled, his lip quivered, and he felt he would fall to the ground. Later, this same witness reported seeing at least five hundred people swept down in a moment. It was as if a battery of a thousand guns had been opened upon them. According to another witness, the meeting appeared as if twenty thousand persons were being tossed to and fro, like waves of the sea in a storm. In spite of the sincere and serious Christian attitude of the encampment, there was all manner of wickedness taking place outside the camp. Men, in a drunken fever, committed indecent acts; and others, would ride their horses at full gallop among the people. One of the leaders of these ruffians rode a large white horse into a circle of praying worshippers. At the same time, he was shouting obscene curses at those gathered. Then, suddenly, he appeared to be struck from his horse. As he lay on the ground, his limbs were rigid, no pulse could be found, and the breath was knocked out of him. Several of his gang came to see him, but after looking at him they fell like men slain in battle. He lay there for thirty hours. At last he exhibited signs of life, but appeared to be in agony. When he gained use of his feet, his groans were converted into loud and joyous shouts of praise. Night came and the camp fires cast large shadows against the trees. There were candles, lamps, and torches throughout the camp as hundreds moved about. Preachers continued to shout sermons from the tent as people sang hymns. On Sunday morning, many had been up most of the night. Yet, the Communion took place as scheduled in the meetinghouse. The minister of a nearby congregation preached the traditional sermon outside and those with Communion tokens went inside for the sacrament. The tables could accommodate about 100 at a time. Since the Methodists were excluded from the meetinghouse and tent, William Burke, one of Methodism’s most esteemed preachers, began Methodist services outside and gathered a huge audience. There ran concurrently four centers of activity around the camp and dozens of informal prayer groups at various camp sites. Crying for mercy, believers praying, fainting, and raptures of joy continued. The people sang, shouted, clapped their hands, and hugged one another. As the night came, some stayed up all night continuing in more prayer, exhortation, and singing. Food and supplies were running short by Monday and many had to leave. In spite of this, there came many new arrivals and Cane Ridge remained densely populated. The meeting continued for four more days before ending on Thursday. These extraordinary services began at sun up and continued well into the night. While some fell to their faces as the weight of their sins struck them cold, many sang and danced as they felt the presence of God in their midst and experienced a touch from Jesus Christ. 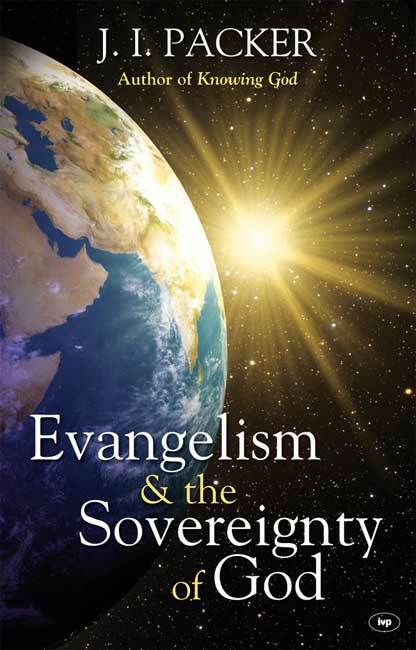 Erdmann’s Handbook to Christianity in America. Editor Mark Noll. Grand Rapids, Michigan: William B. Eerdmans, 1983. Johnson, Charles A. The Frontier Camp Meeting: Religion’s Harvest Time, Dallas: Southern Methodist University Press, 1985. LaTourette, Kenneth Scott, A History of the Expansion of Christianity, IV (Grand Rapids: Zondervan, 1970), p. 192. Murray, Iain H. Revival & Revivalism: The Making and Marring of American Evangelicalism 1750-1858, Carlisle, PA: The Banner of Truth Trust, 1994. Charles Spurgeon: What If Our Preaching Never Saves? We have all great need of much hard study if our ministry is to be good for anything. We have heard of the French peasants who sent to the Pope for a cure: “[One] who had finished his education.” They complained that their pastor was always studying, and they wanted a man who knew all that was necessary, and consequently needed no time for books and thoughts. What fools they must be in that part of France! We need exactly the kind of preacher whom they despised. He who has ceased to learn has ceased to teach. He who no longer sows in the study will no more reap in the pulpit. . . . I hope it will never get to be your notion that only a certain class of preachers can be soul-winners. Every preacher should labor to be the means of saving his hearers. The truest reward of our life work is to bring dead souls to life. I long to see souls brought to Jesus every time I preach. I should break my heart if I did not see it to be so. Men are passing into eternity so rapidly that we must have them saved at once. We indulge no secret hope which can make it easy to lose present opportunities. From all our congregations a bitter cry should go up unto God, unless conversions are continually seen. If our preaching never saves a soul, and is not likely to do so, should we not better glorify God as peasants, or as tradesmen? What honor can the Lord receive from useless ministers? 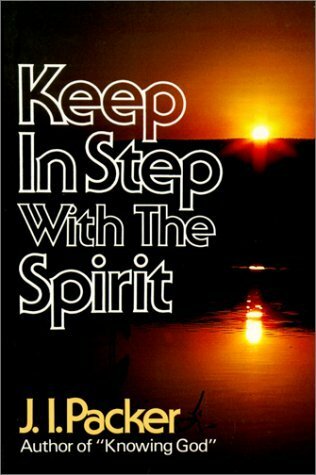 The Holy Ghost is not with us, we are not used of God for His gracious purposes, unless souls are quickened into heavenly life. Brethren, can we bear to be useless? Can we be barren, and yet content? 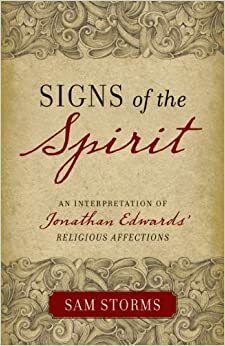 Filed under: Bible, Christianity, Church Leadership, Faith, Grace, Jesus Christ, Prayer, Preaching | Tagged: Charles Spurgeon, God, Gospel, Holy Spirit, Jesus, Pope, Preacher, Sermon, Soul |	Comments Off on Charles Spurgeon: What If Our Preaching Never Saves?